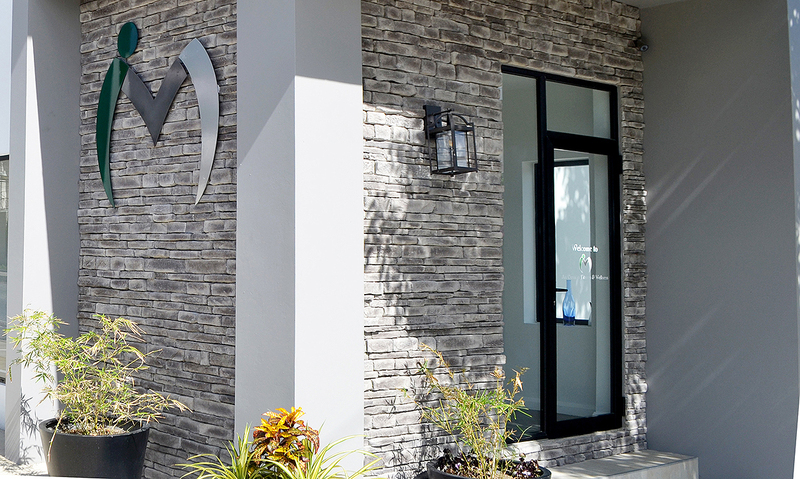 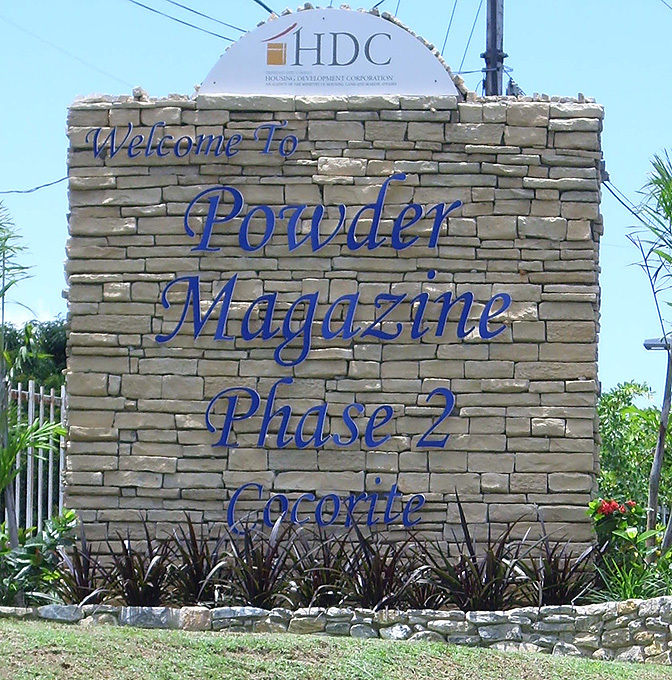 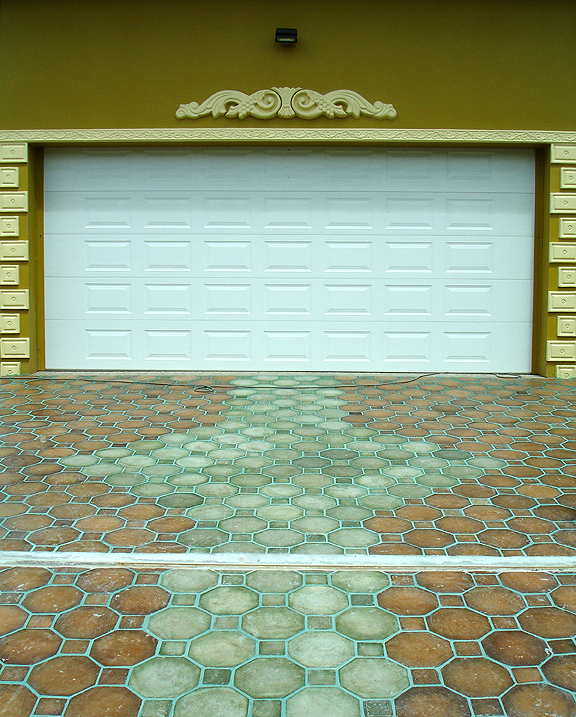 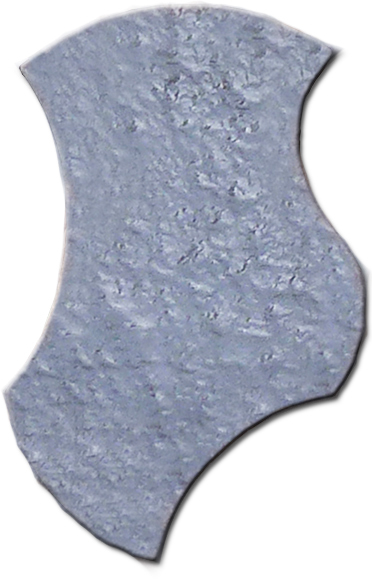 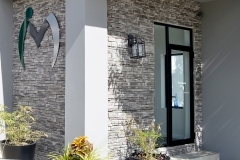 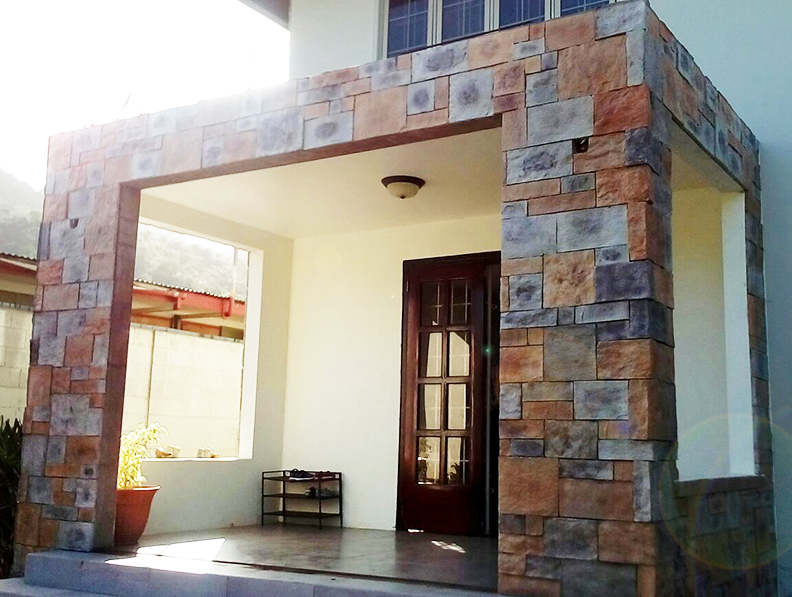 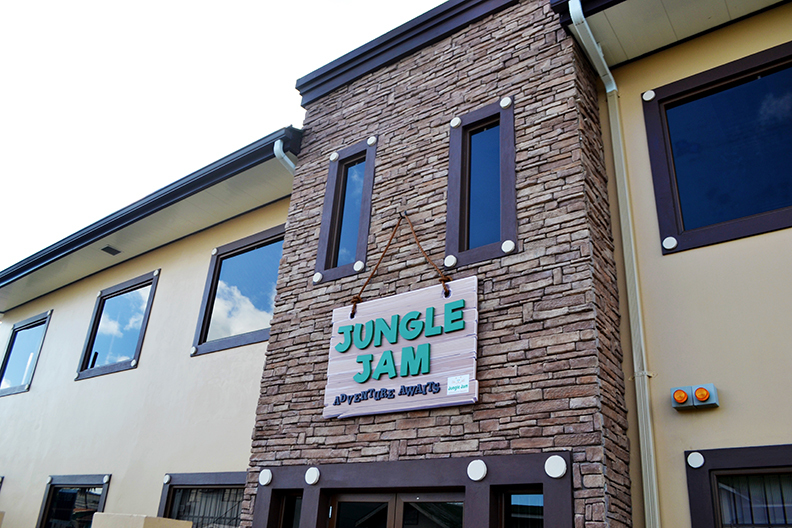 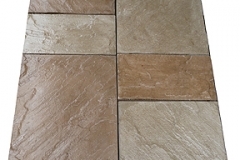 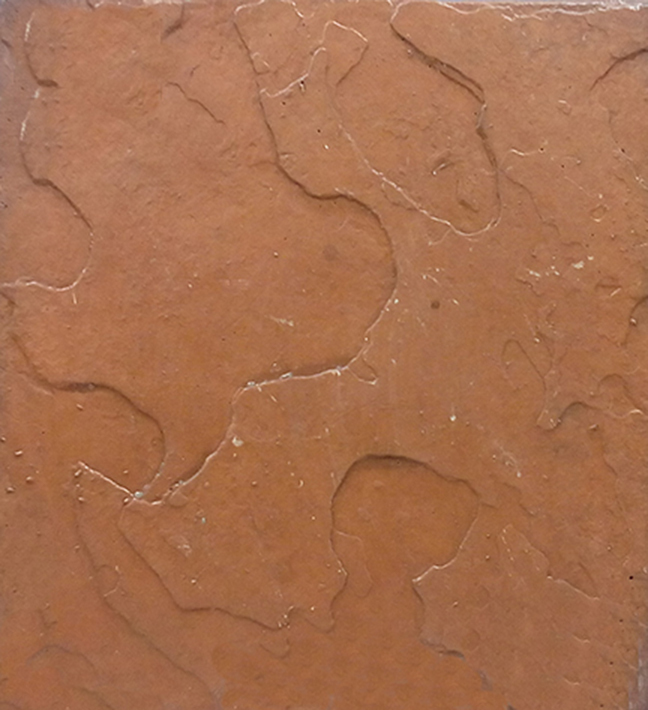 Ceramic Trinidad Limited has been manufacturing concrete wall facings and floor tiles for over 20 years !! 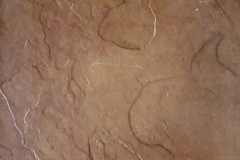 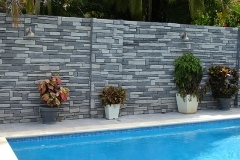 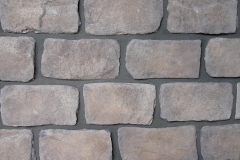 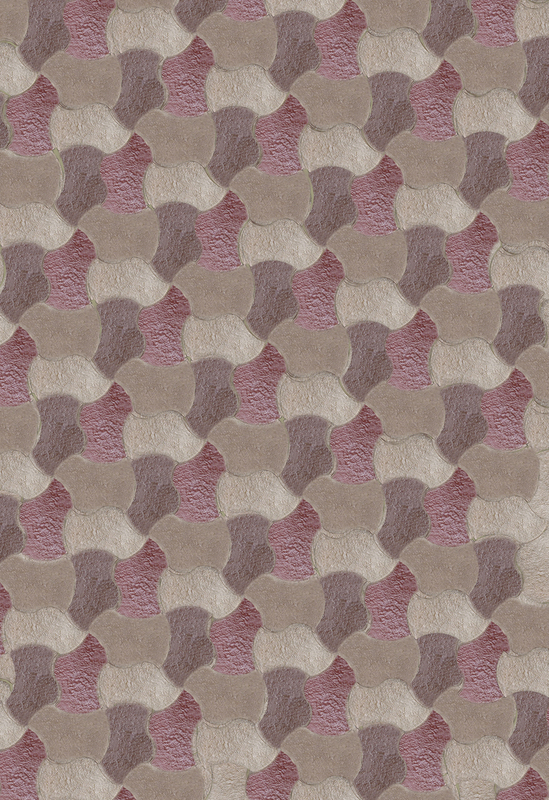 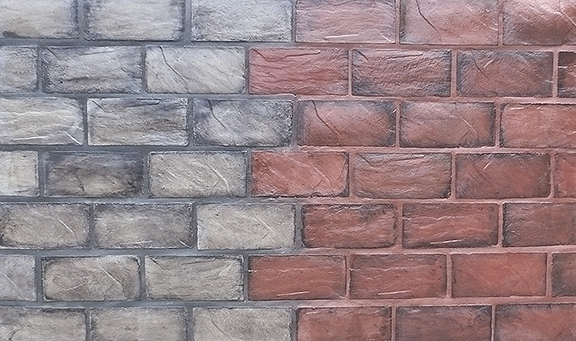 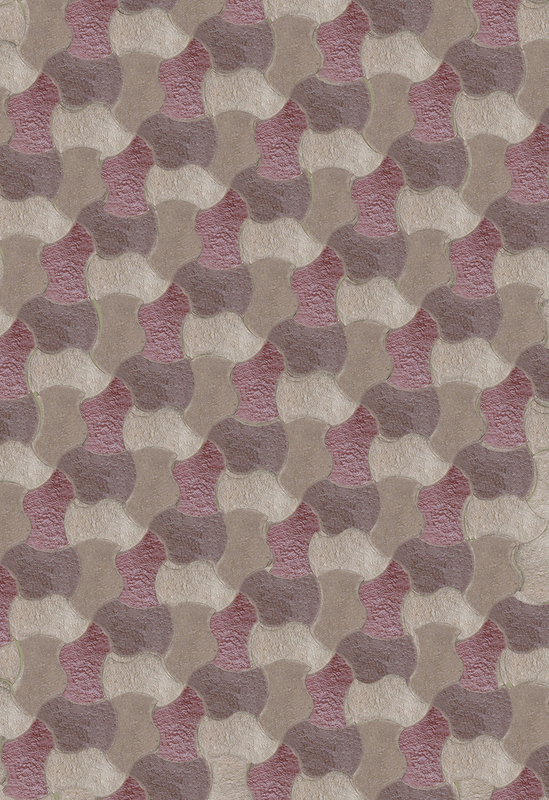 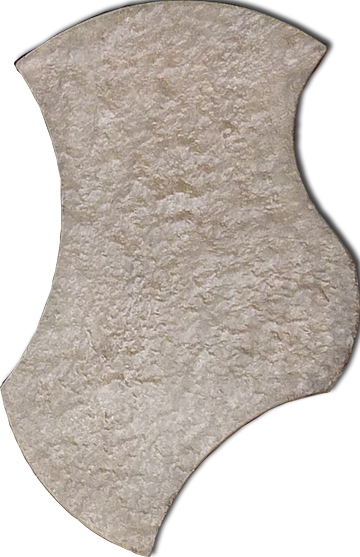 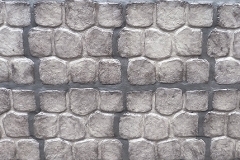 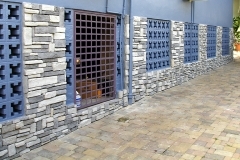 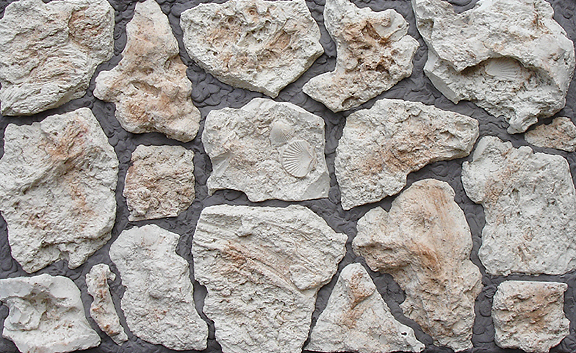 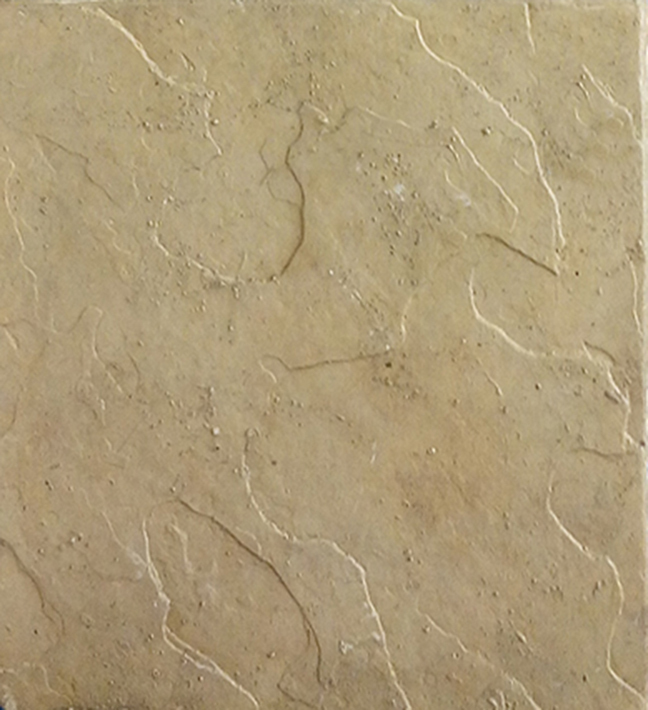 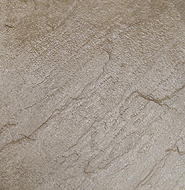 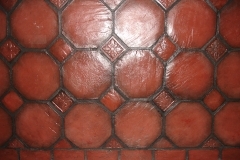 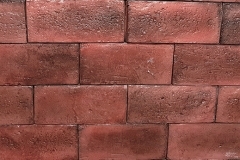 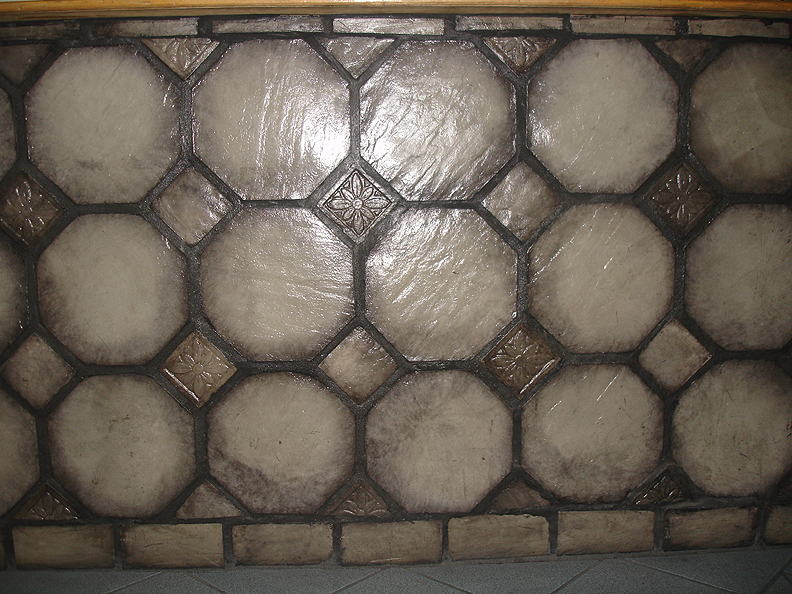 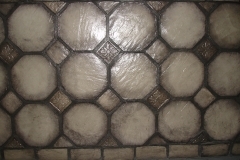 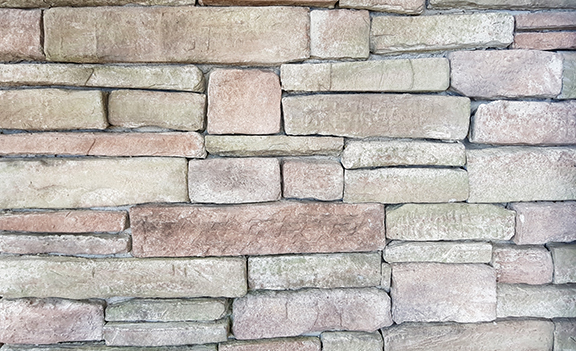 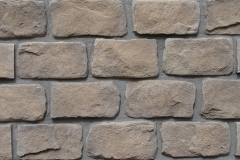 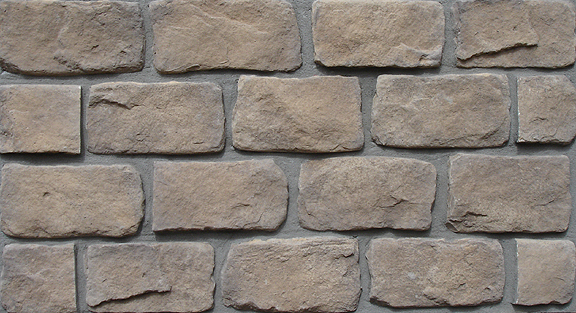 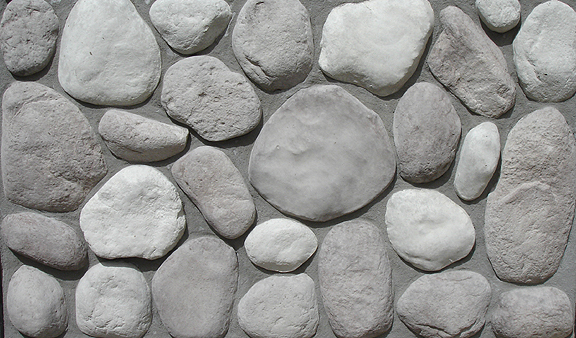 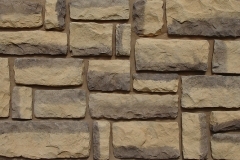 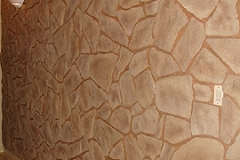 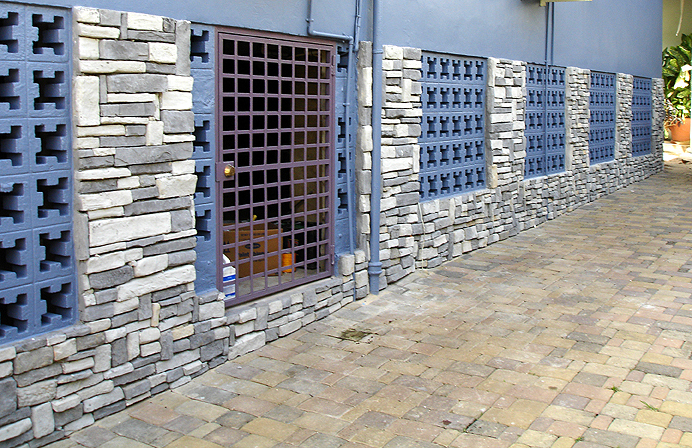 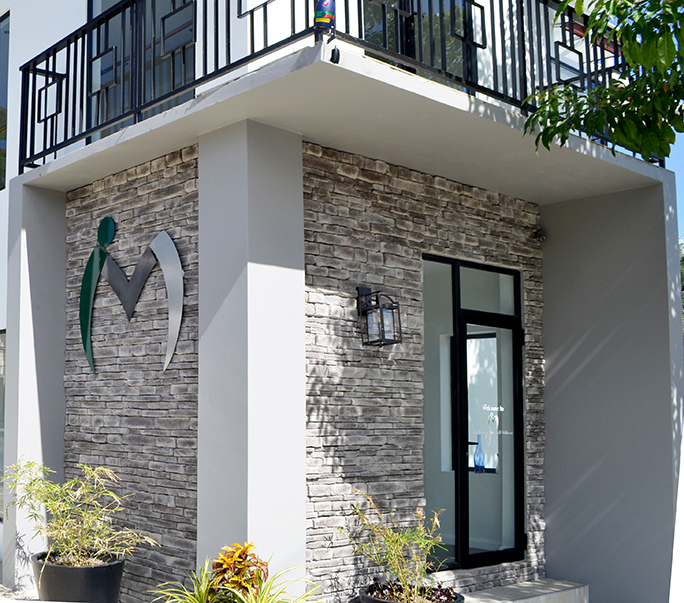 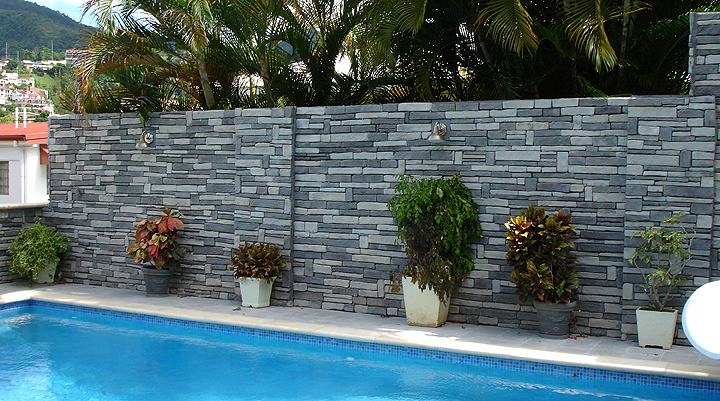 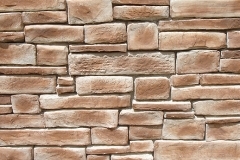 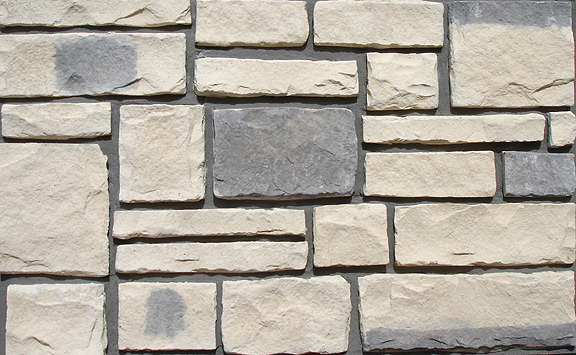 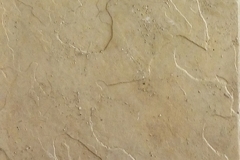 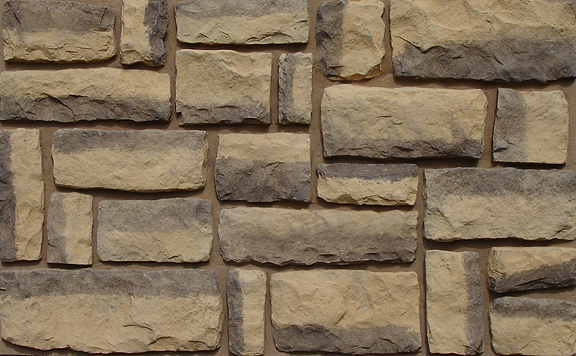 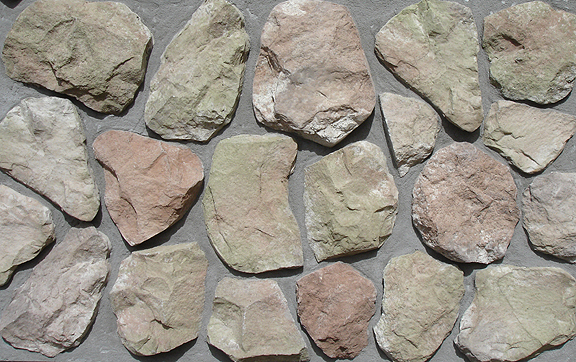 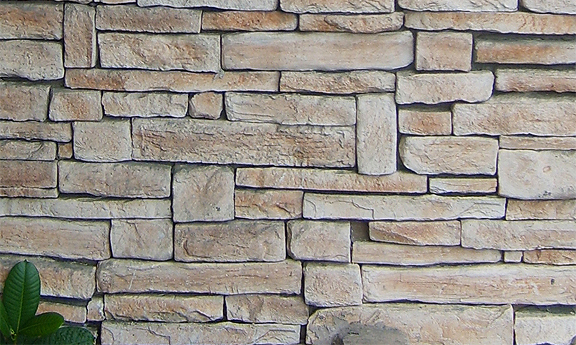 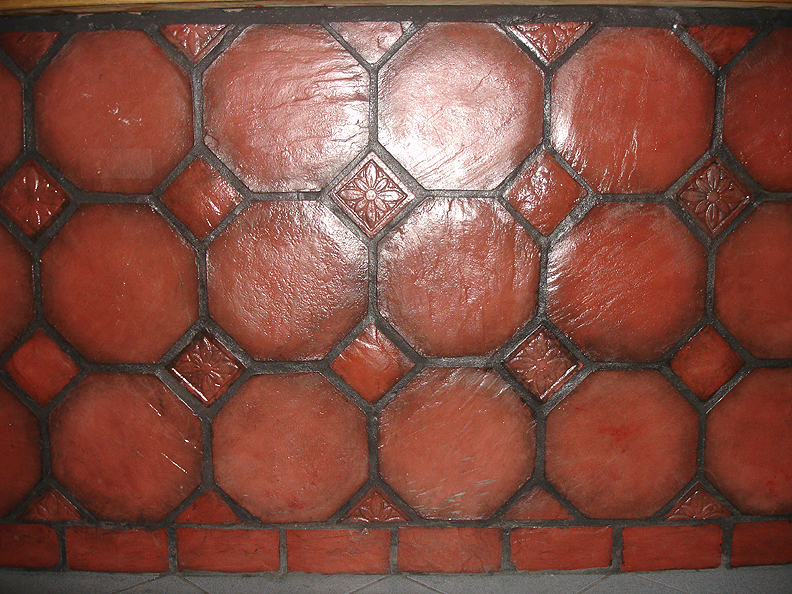 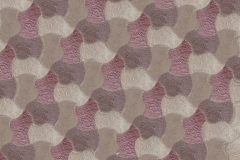 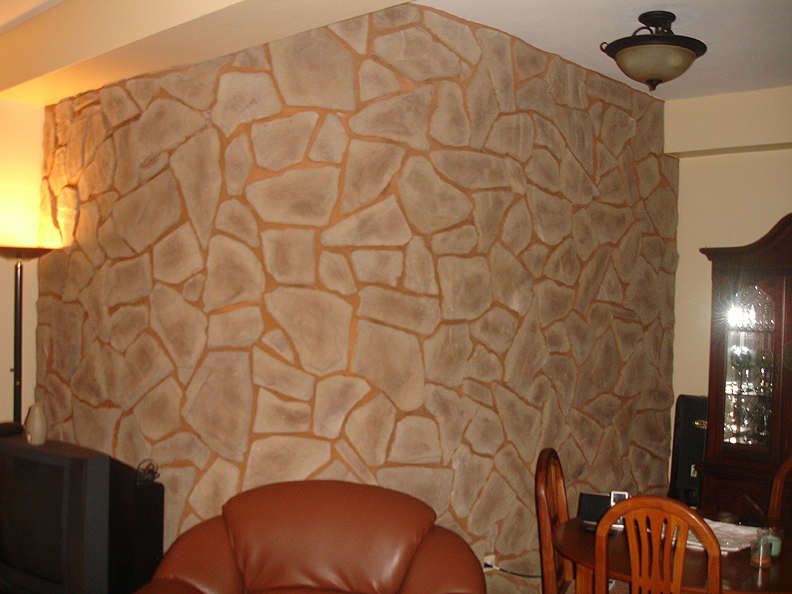 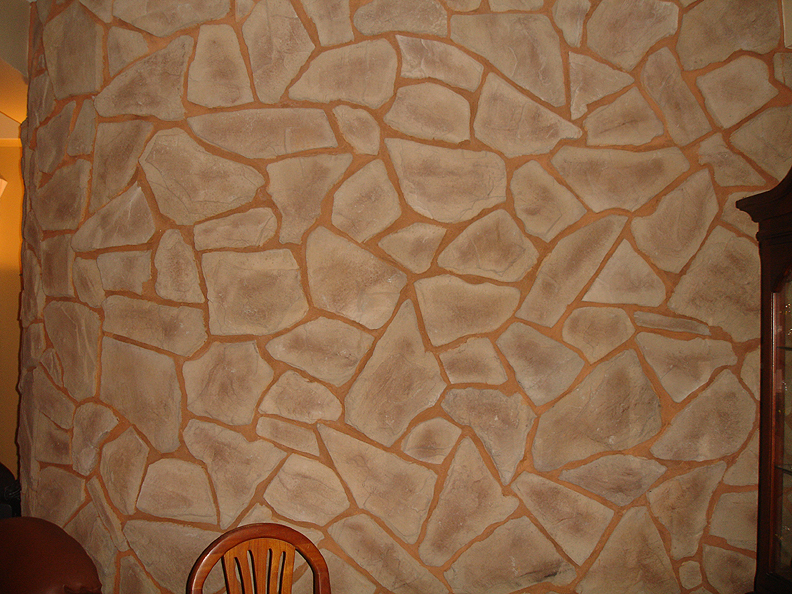 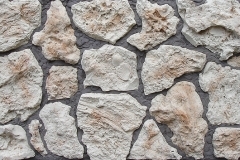 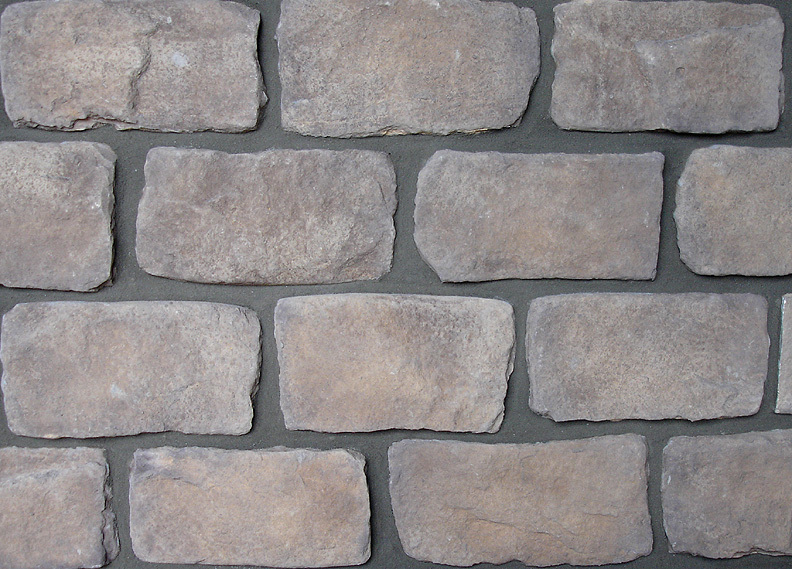 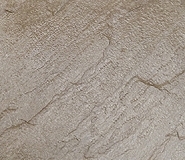 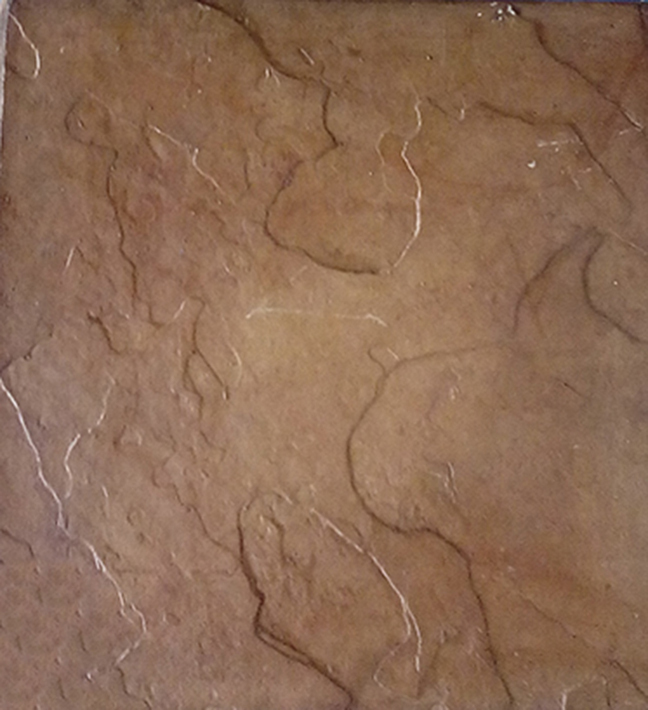 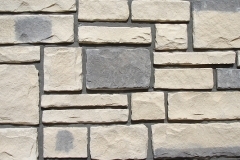 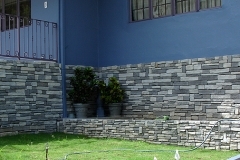 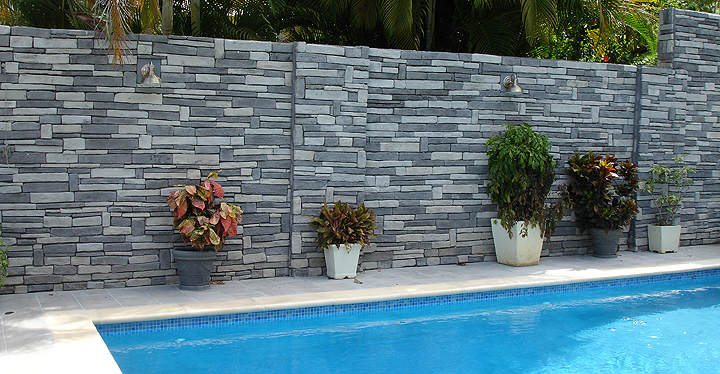 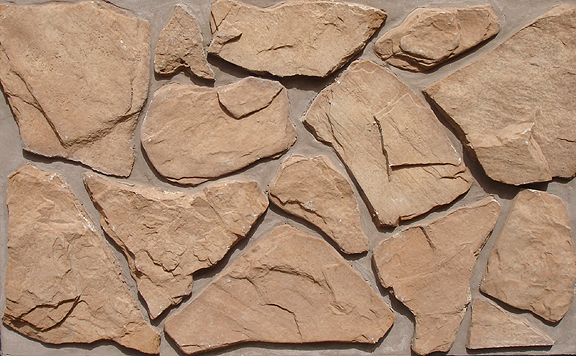 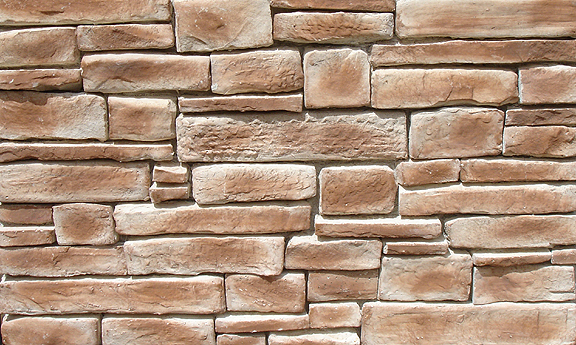 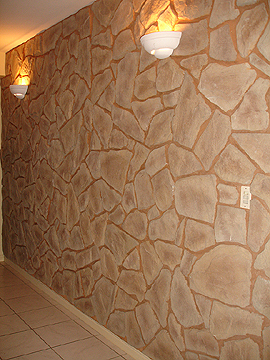 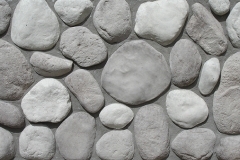 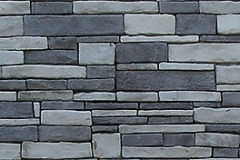 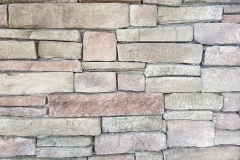 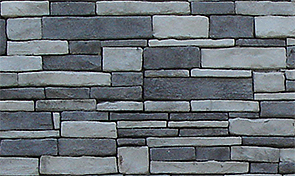 These wall facings realistically mimic natural stone and are available in several different styles and colors. 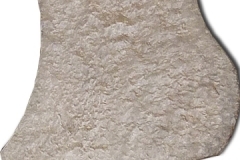 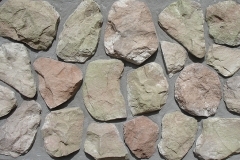 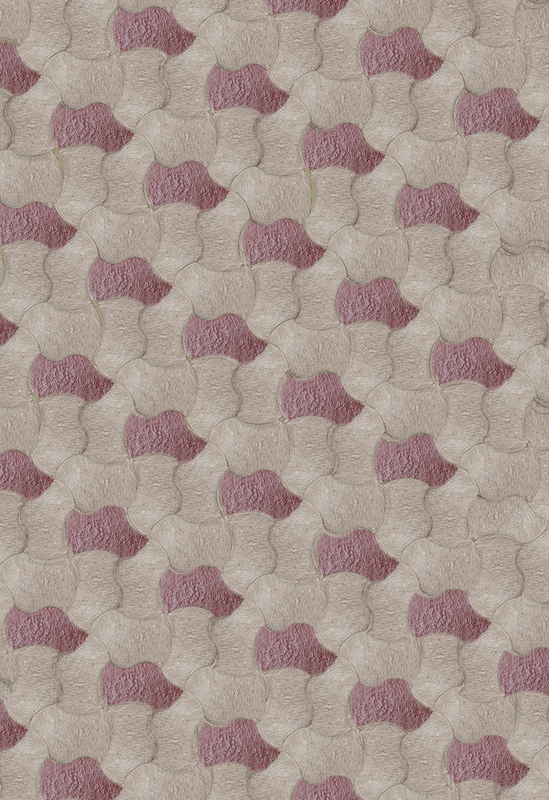 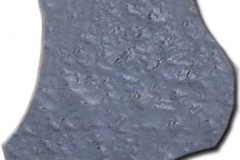 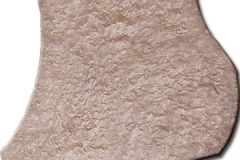 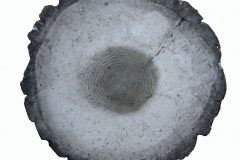 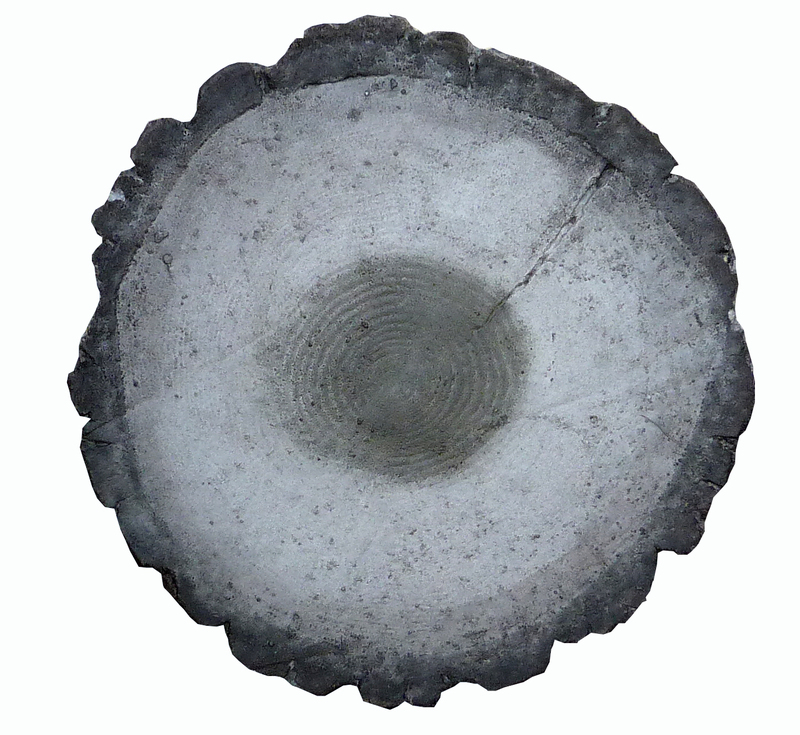 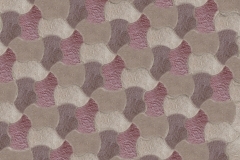 One of the unique features of these products is that they are not ’tiles’, but rather, individual pieces of ‘stone’; hence allowing them to produce an extremely authentic look. 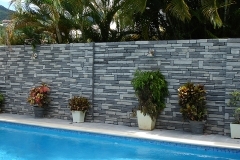 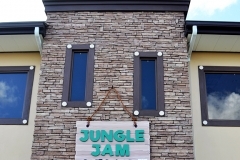 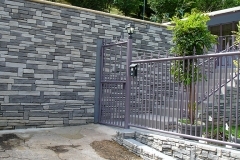 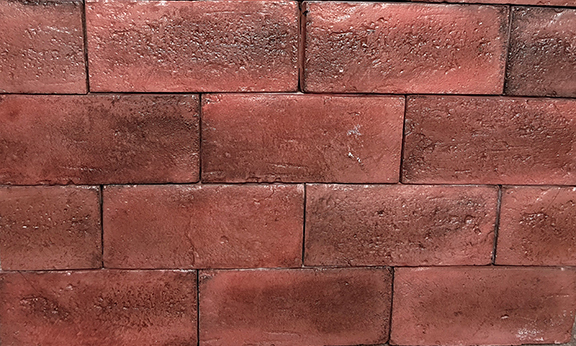 Any of the wall facing styles shown below, can be manufactured in of the colors shown and they can also be custom colored to fit your requirements. 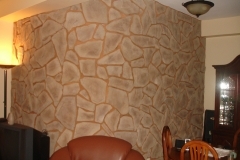 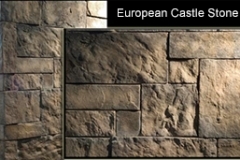 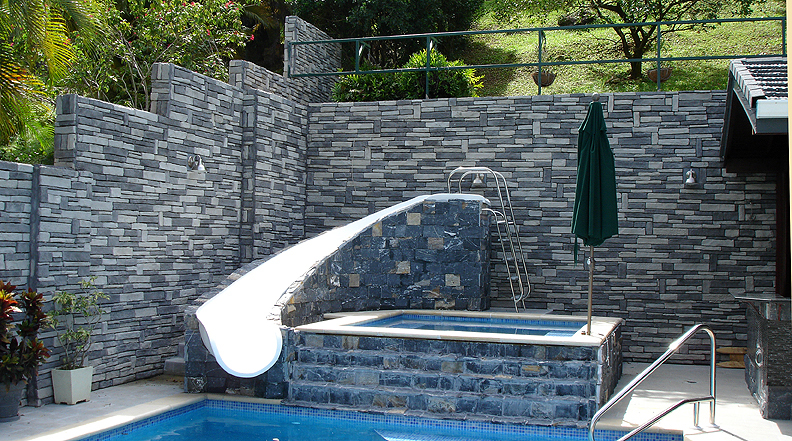 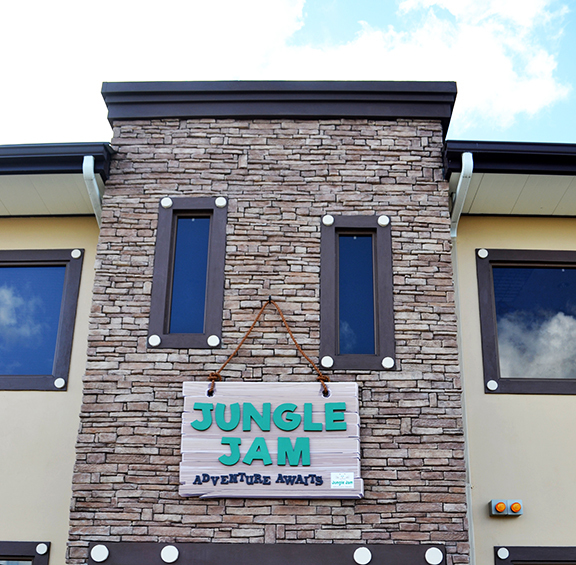 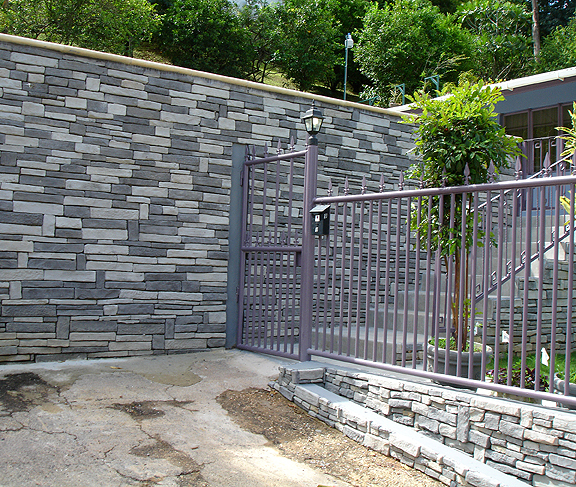 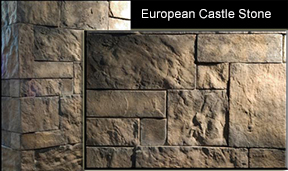 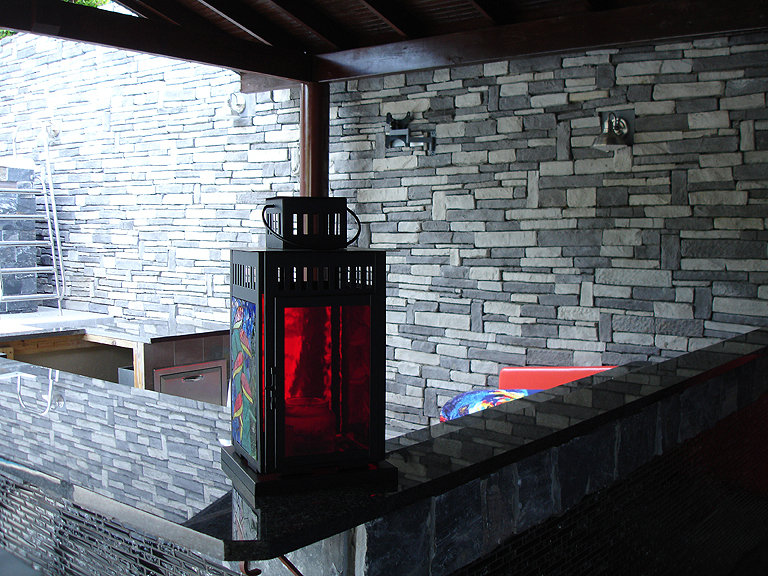 These products can transform any ordinary wall, into a truly realistic rendition of hand sewn natural stone. 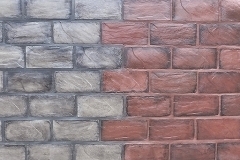 Have a look at the below pics to see some of the styles and color combinations that can be achieved. 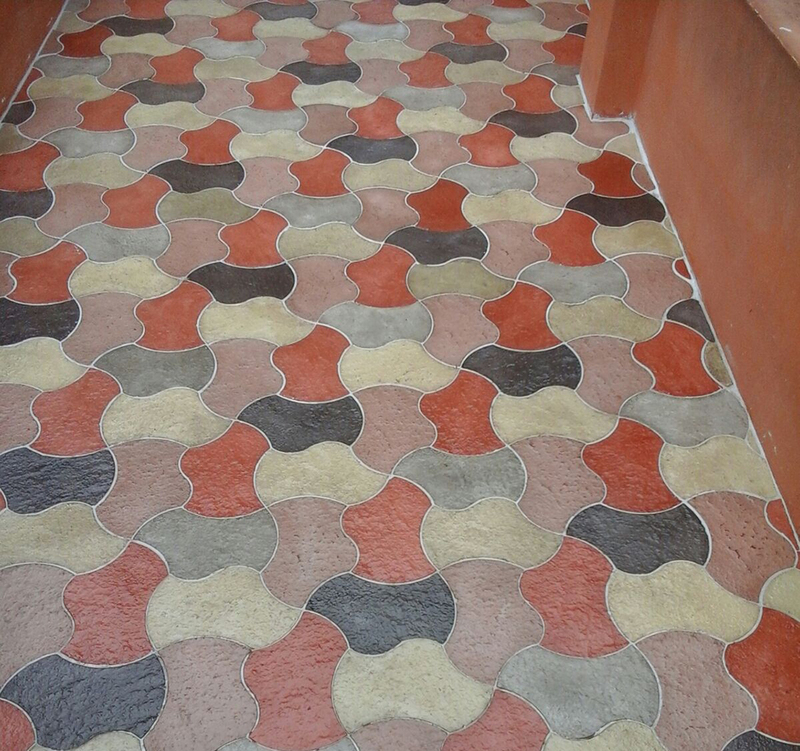 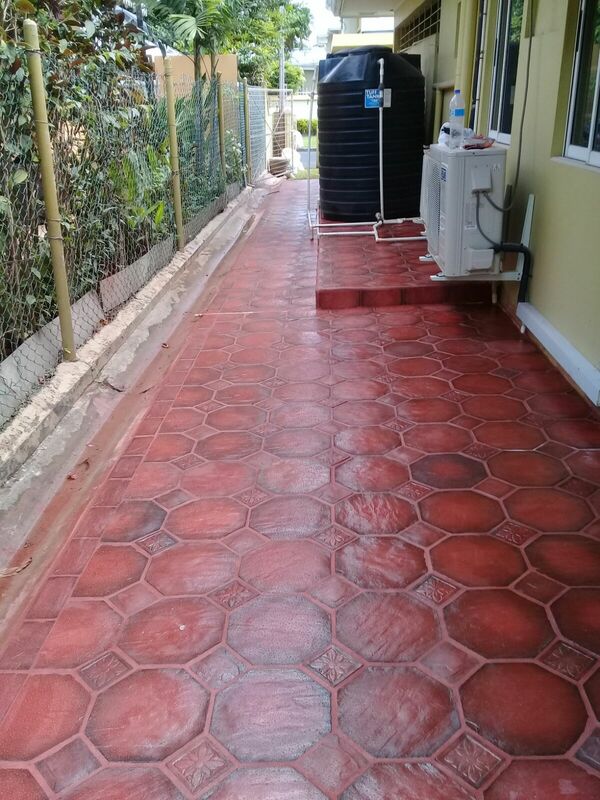 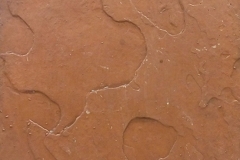 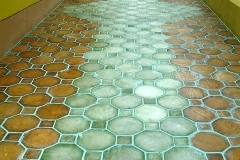 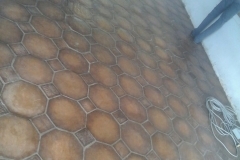 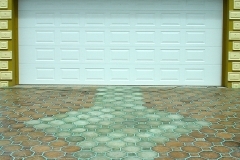 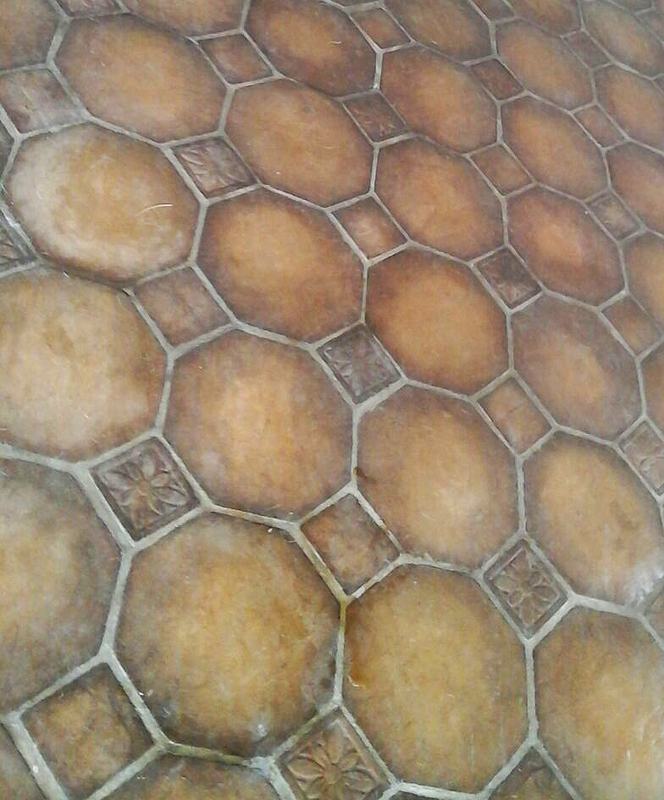 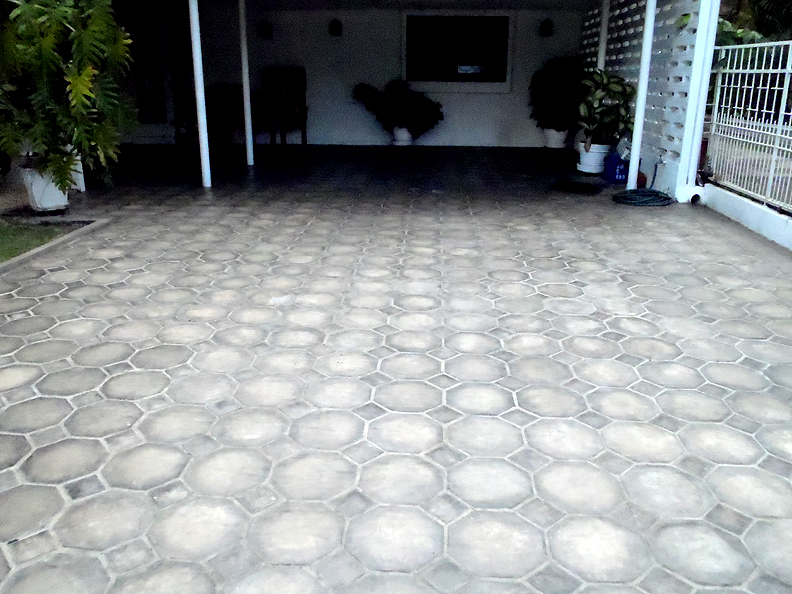 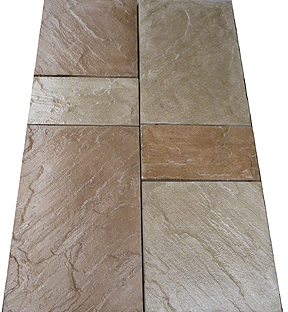 The floor tile products are ideal for driveways, pool decks, patios or interior floors to give an old world rustic appeal. 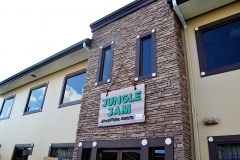 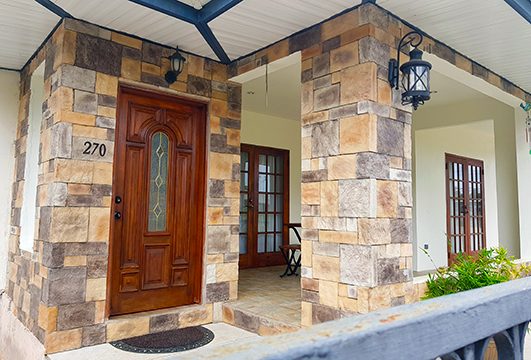 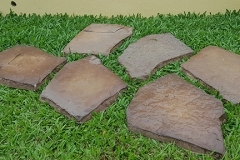 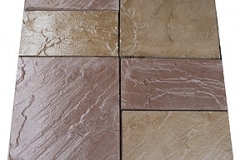 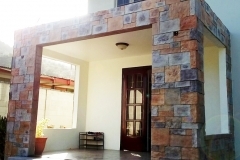 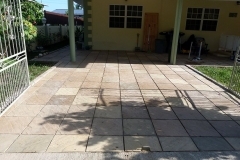 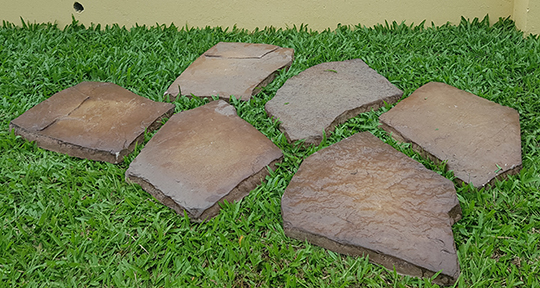 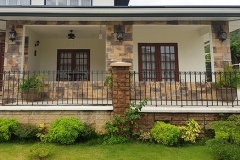 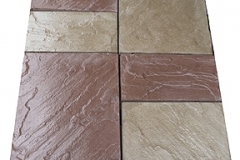 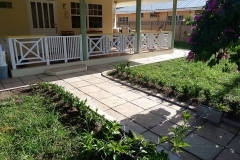 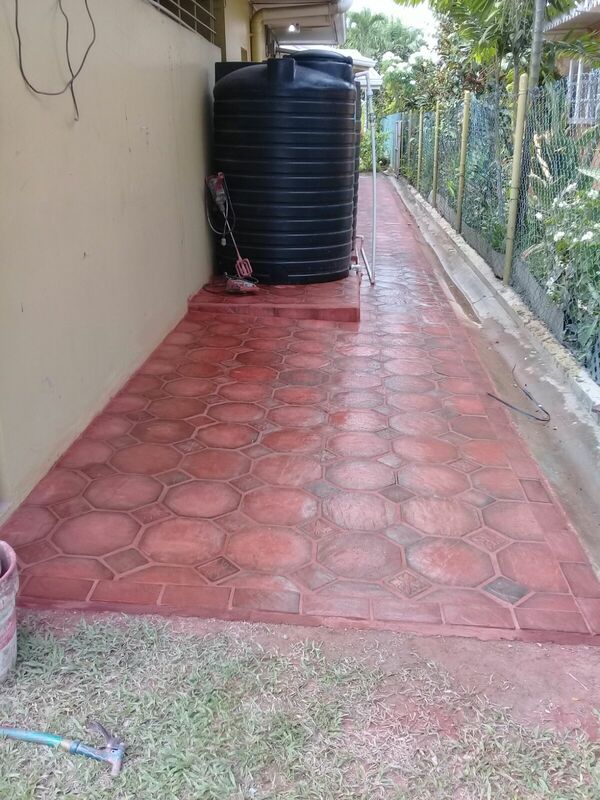 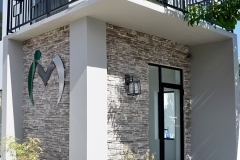 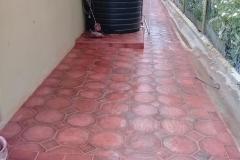 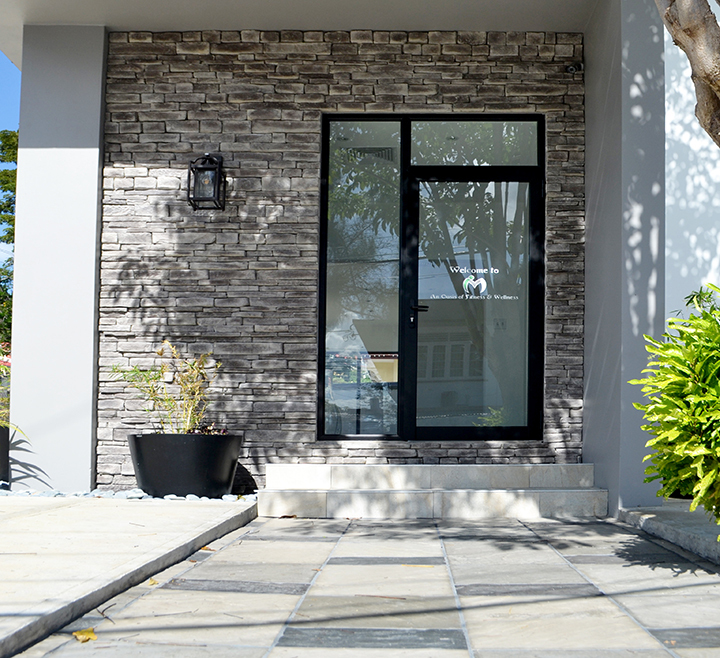 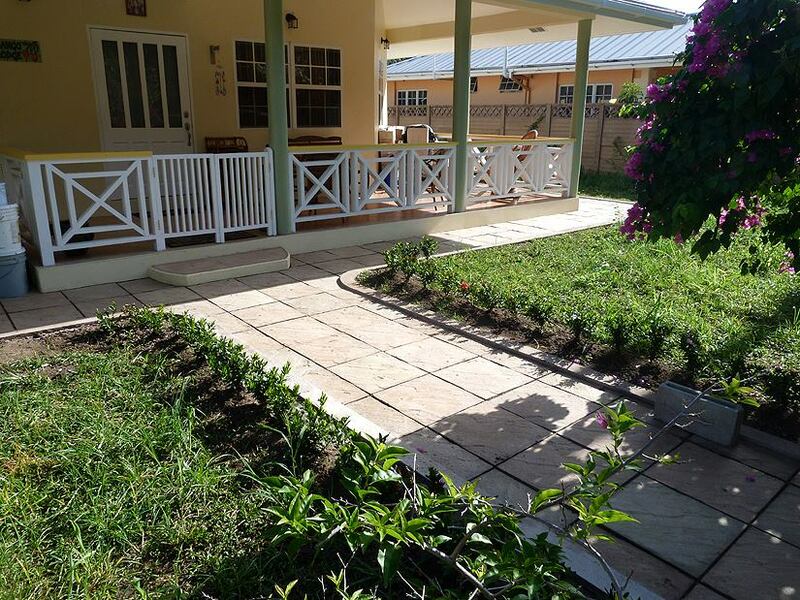 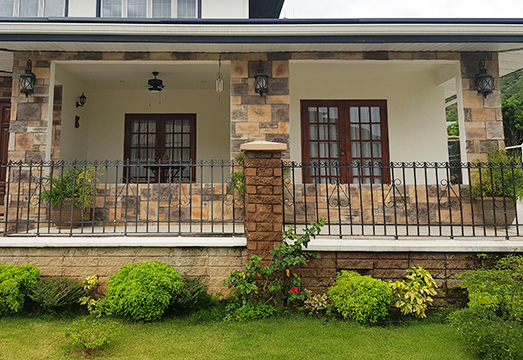 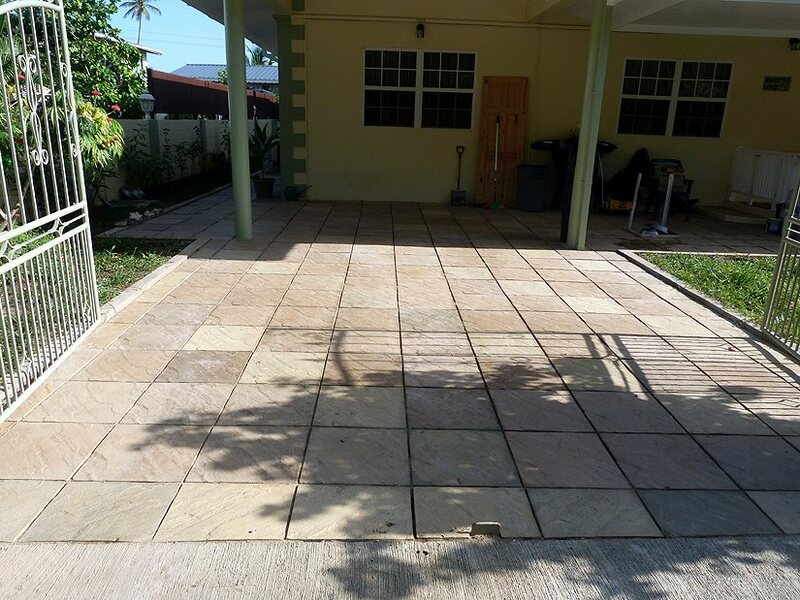 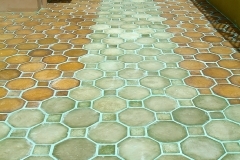 The products include tiles, pavers and landscaping stepping stones, all of which can be custom colored (with integral color) to fit your exact need. 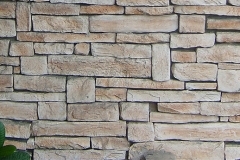 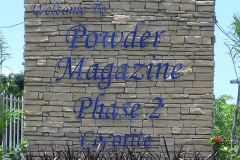 Installation: Mortar or Thin Set. 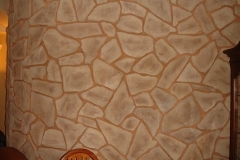 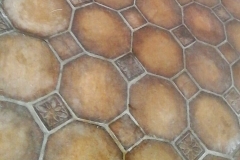 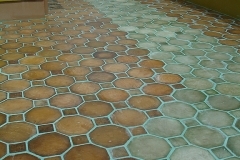 Grouting: Mortar (mixed with dye), Min 1/4” Grout Space. 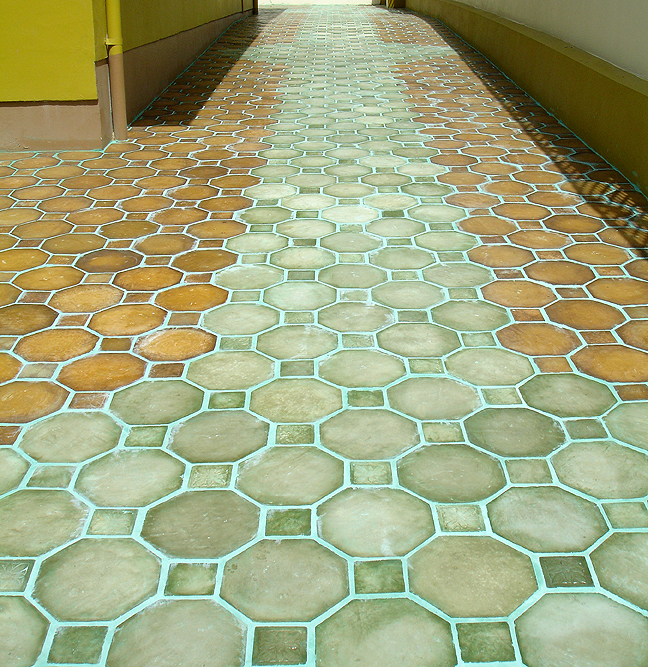 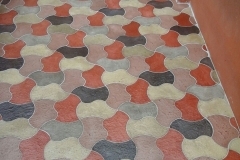 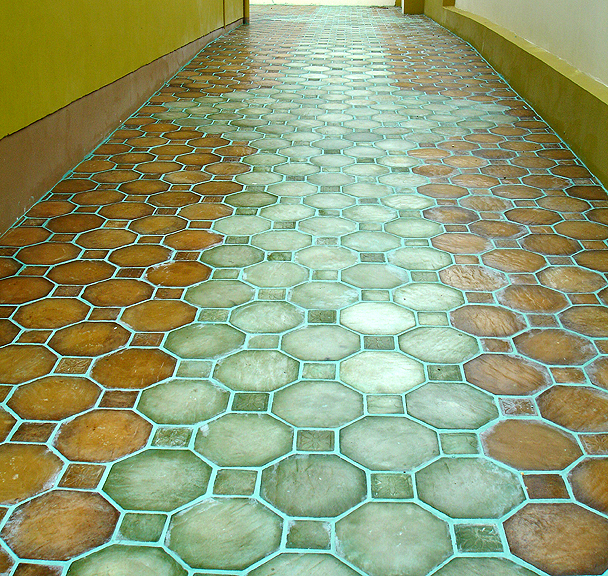 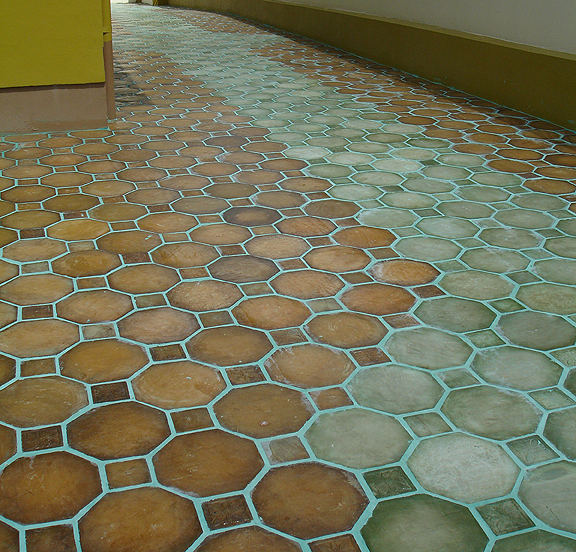 With its irregular shape, these floor tiles create a ‘non-linear’ appearance without vertical and horizontal grout lines. 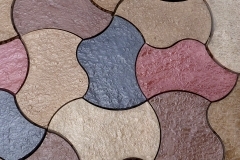 They can used as one color, or mixed with any/all of the six(6) standard colors. 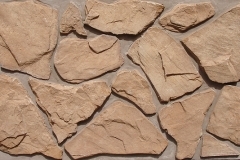 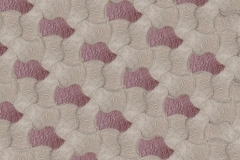 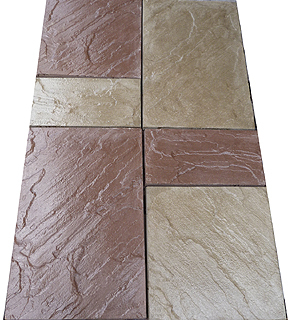 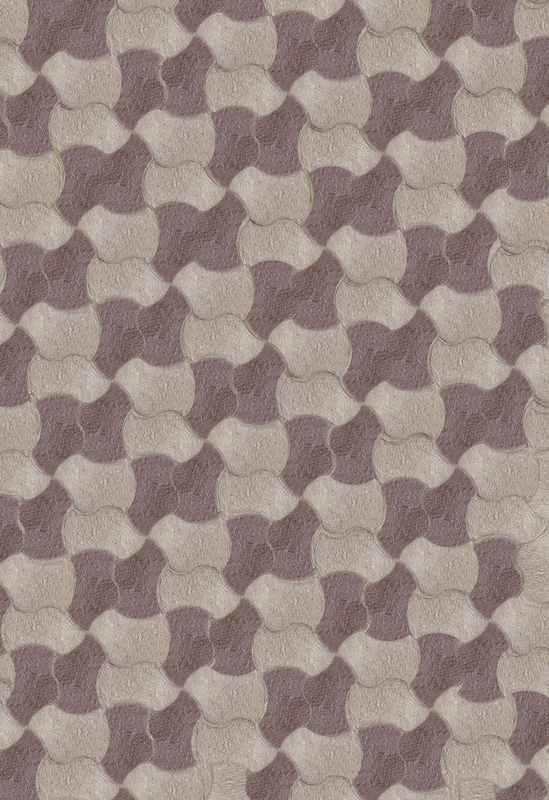 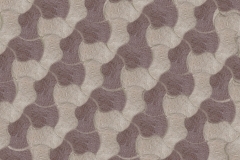 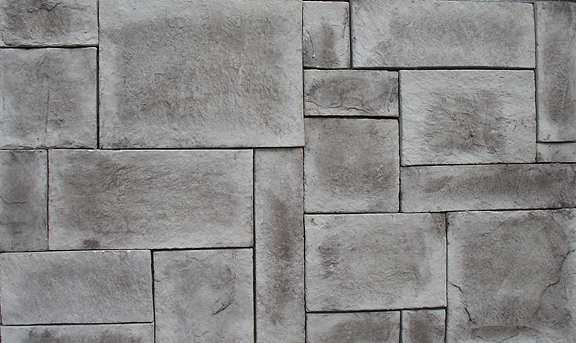 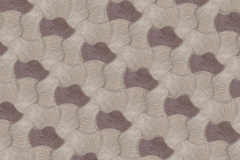 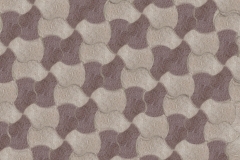 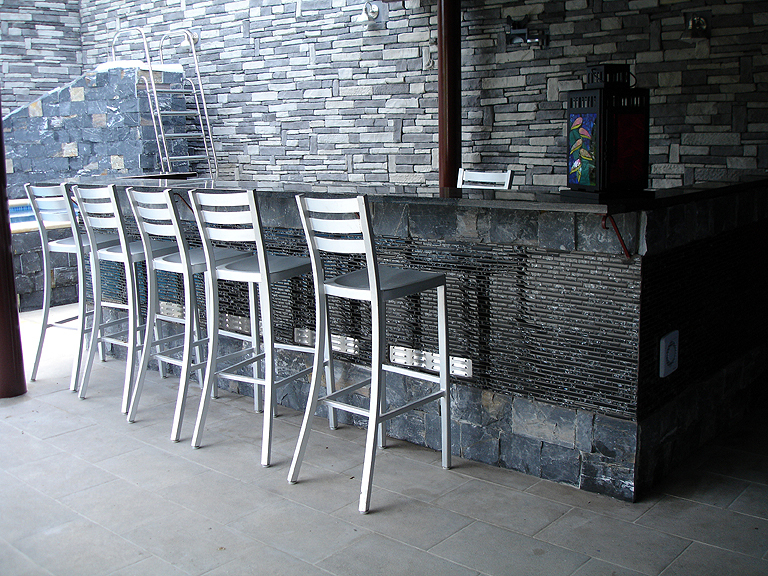 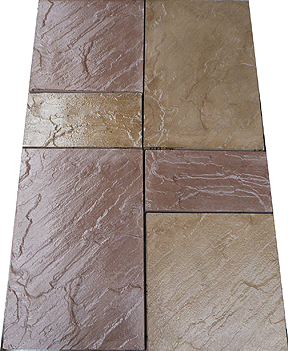 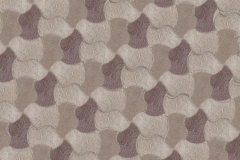 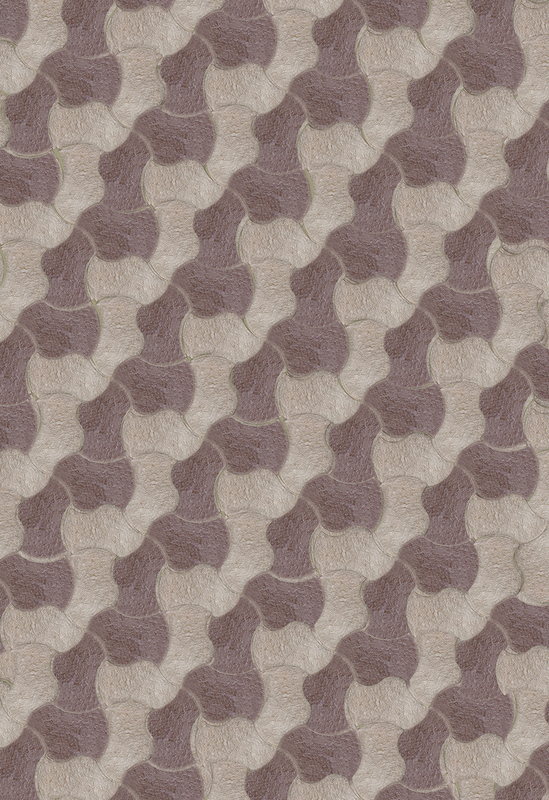 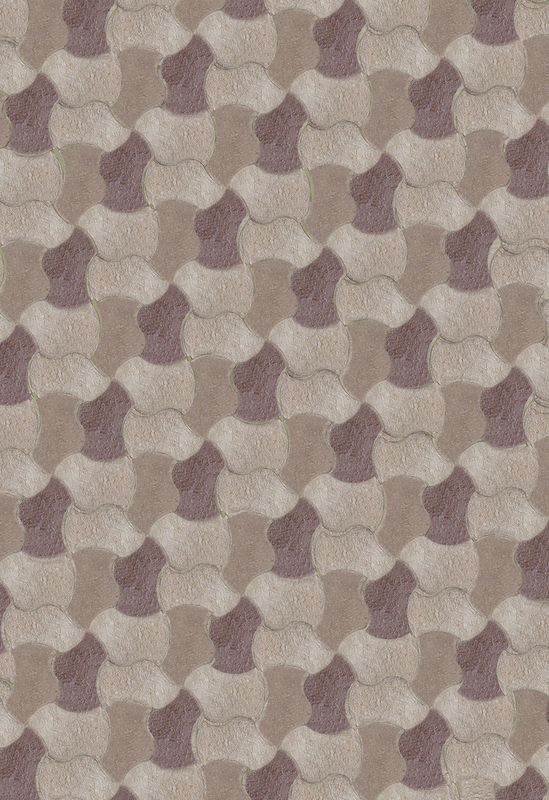 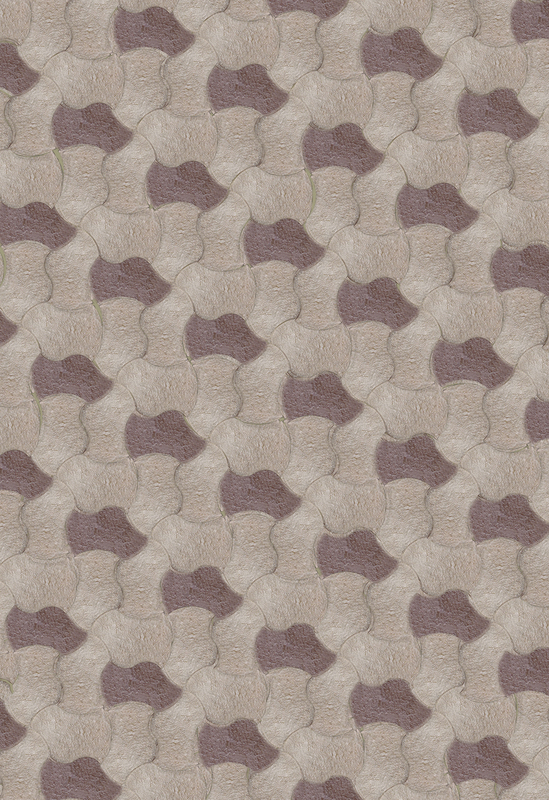 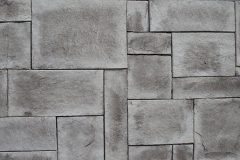 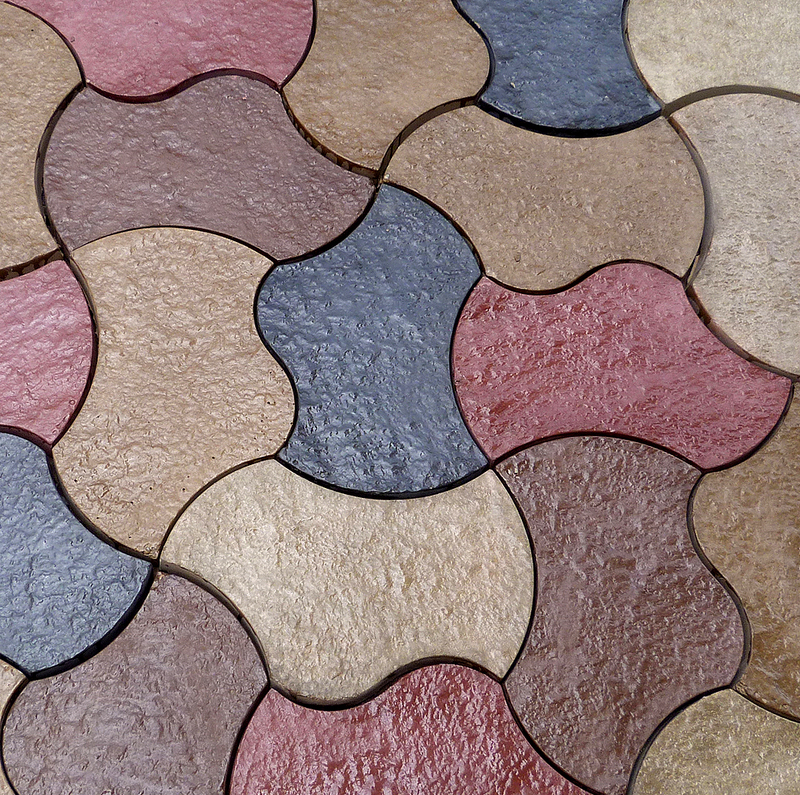 The Riven Edge paver is a large format paver that realistically mimics hand cut stone. 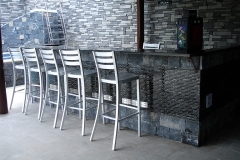 It is available in three(3) sizes that can be used together or individually. 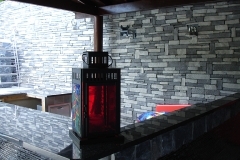 Mixing colors and formats achieves an even more rustic and realistic look. 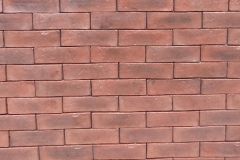 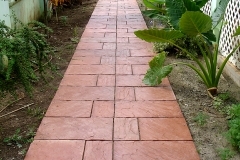 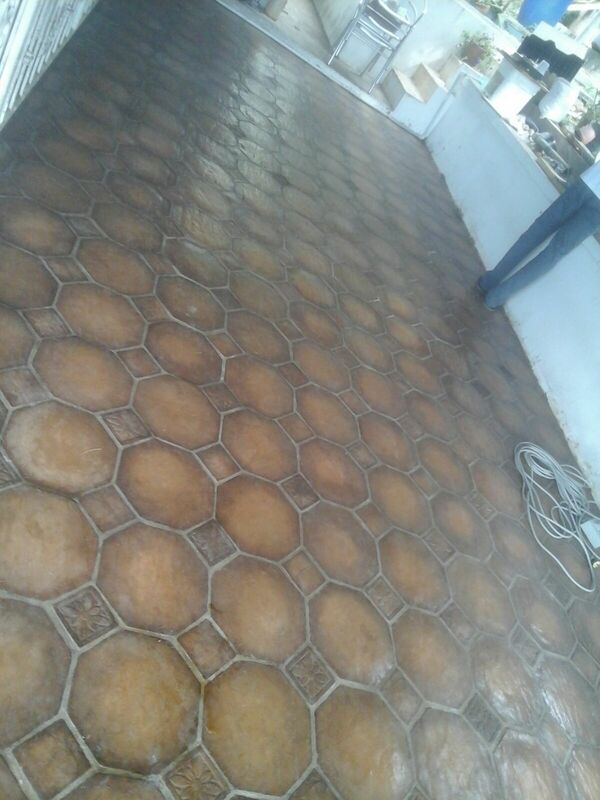 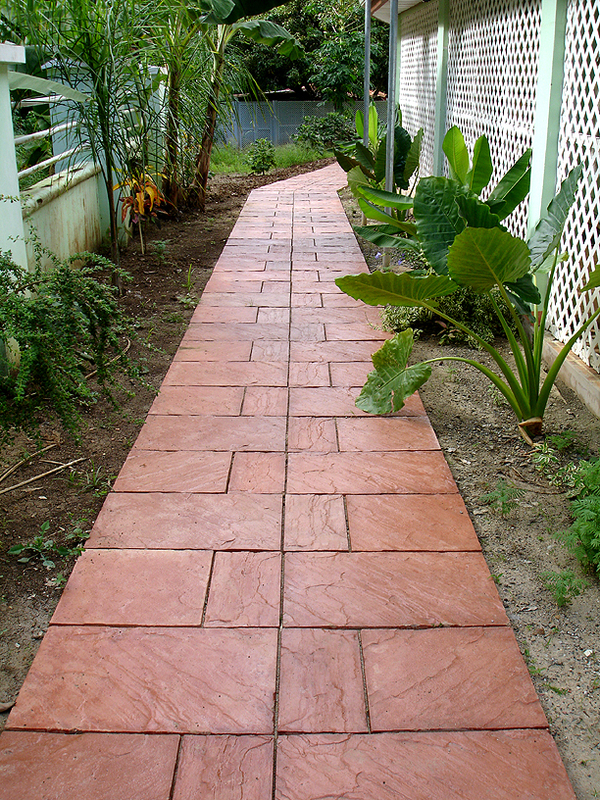 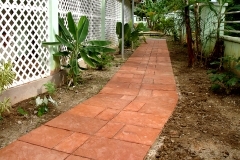 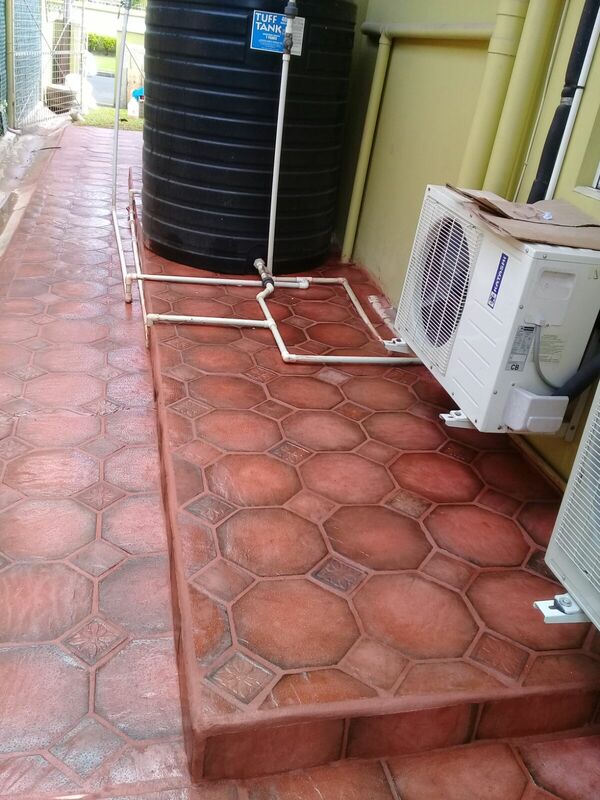 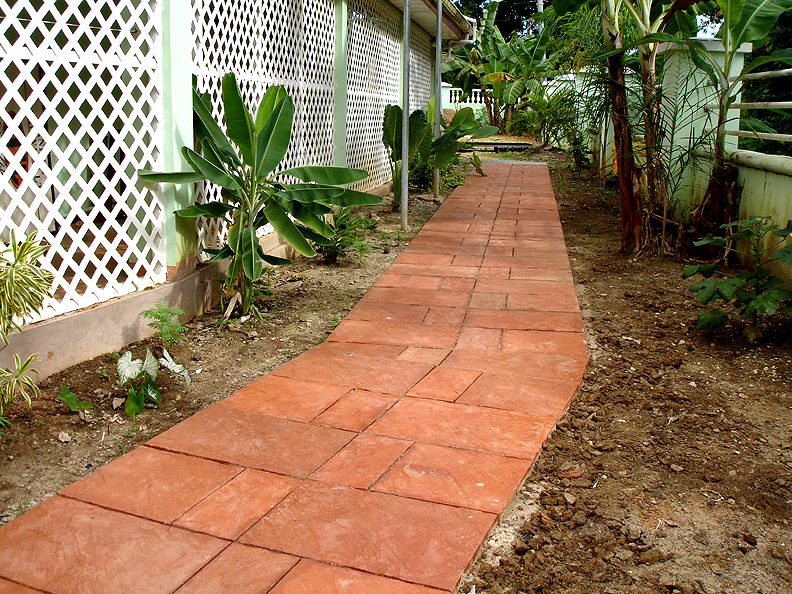 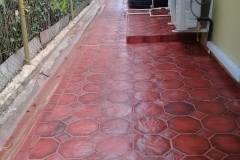 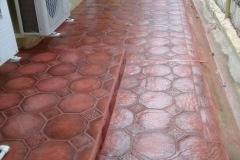 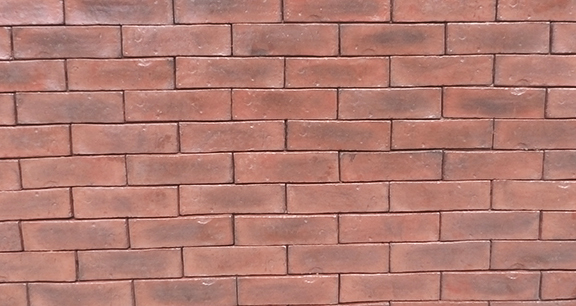 This product is ideal for driveways, walkways, garden patios, pool decks etc. 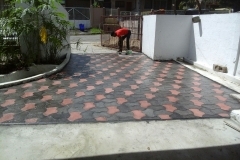 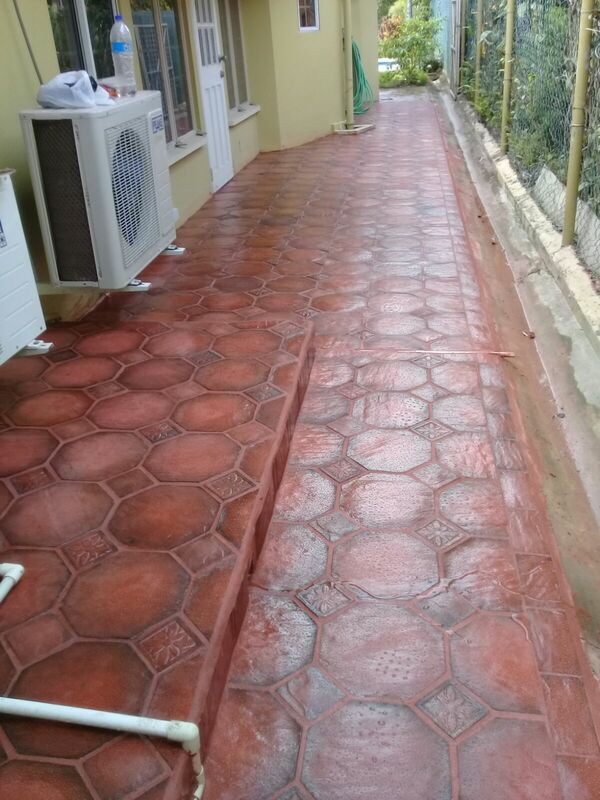 It also has the installation flexibility of being laid using mortar/thinset & grout, or being laid as a paver in a compacted sharp sand bed. 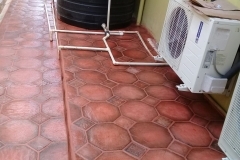 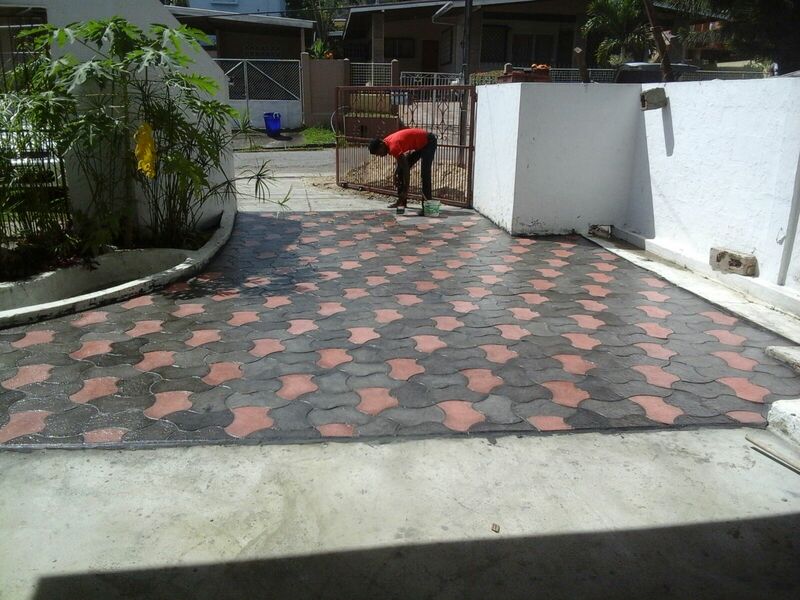 Installation: Traditional using Mortar/Thin Set & Grout on a concrete foundation or used as a paver on a compacted sharp sand base.